Today, the National Rx Drug Abuse & Heroin Summit is being held, hosting as many as 1,800 policymakers, researchers and law enforcement professionals. President Obama will be attending the event, where he plans to unveil his plans for expanding access to treatment and improving mental health parity. The U.S. Department of Health and Human Services (HHS) is working to strengthen substance abuse and mental health services for Americans enrolled in Medicaid. 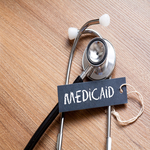 On top of that, the agency is calling on more states to join the 30 others who have not extended Medicaid eligibility to all low-income residents, The Wall Street Journal reports. The HHS released a report that found that in the 20 states whose governors have expanded Medicaid, around two million low-income people living with mental health and substance use disorders are able to get the help they need. The governors in those 20 states were given the right to opt out of expanding Medicaid to all low-income individuals because of 2012 Supreme Court decision that effectively gave governors and state legislators the right to choose, according to the article. “Today’s report shows that Medicaid expansion is an important step states can take to address behavioral health needs, including serious mental illness and opioid and other substance use disorders,” HHS Secretary Sylvia Mathews Burwell said in a news release.